Committee Votes to Ban Payroll Deduction! TAKE ACTION NOW! Click here for a roster of Senators with their phone numbers and emails! 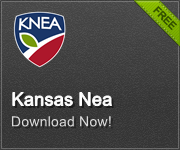 Click here to use the KNEA Legislative email portal.